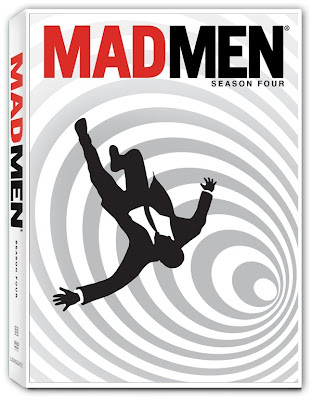 perhapablog... and other ramblings: mad men monday! what an awesome, awesome show! 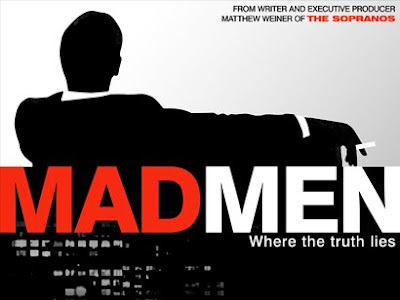 do what you have to, amc--just get me more mad men!!! the cast is wonderful, the direction is so clever, and the writing is just off-the-charts exquisite! such sly, wry dialogue, and dedicated attention to the vernacular of the times, as well as story points that step out of 50 year old headlines and remind you when you are! can you tell i dig it? I've only seen a few episodes of MAD MEN (I liked what I saw) but the following things struck me as odd. 1. Everyone seems to have so much free time on their hands. If our chief Creative Officer left the building for a tryst in the middle of the afternoon, there would be thirty people screaming "WHERE IS HE!???" within ten minutes. 2. The presentations are so small and thrown together. Everything we put together to show a client is blown out six ways from Sunday and has to look like it took a month even if it was only a couple of all-nighters. Every show about advertising I've ever seen shows the creatives presenting one or two boards on an easel. Give me a break. 3. Granted this was only one episode but Don Draper treated a client with an incredible amount of disrespect and still won the account. I don't care who he is, if he did that today, the client would have walked out and Draper would have been thrown off the roof. In advertising, the client is GOD. 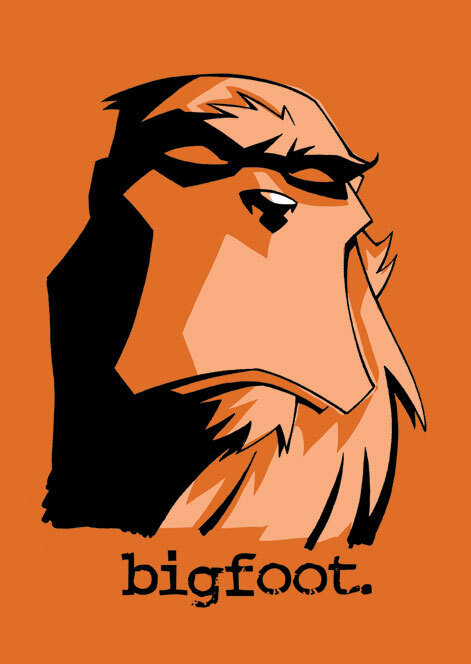 Man, that Big T-Shirt image looks great. Makes me so wish I did not look awful in orange.